Michael Terry has practiced law since 1974. Mr. Terry is a graduate of Old Dominion University and the University of Tennessee College of Law. For 10 years Mr. Terry practiced as a lawyer with the Tennessee Office of Attorney General. He served as Deputy Attorney General, heading the State’s civil litigation division, from 1978-84. Since 1984 Mr. Terry has been engaged in private practice, representing individuals in civil and criminal litigation in state and federal court. His civil practice has included four appearances in the U.S Supreme Court, twice presenting argument to the Court. In 2004, Trial Lawyers for Public Justice nominated Michael and several associate counsel as finalists for Trial Lawyer of the Year. The honor recognized the work of Terry & Gore and several other firms in changing racially discriminatory pricing practices in the American automobile finance industry. Mr. Terry has represented criminal defendants in state and federal court since 1984, both on a retained and appointed basis. This practice has included death penalty and first-degree murder cases litigated to verdict. Mr. Terry is a member of the Tennessee Association for Justice, the Tennessee Criminal Defense Lawyers Association, the Nashville Bar Association, and the Criminal Justice Act Panel for the Middle District of Tennessee. He has been admitted to practice in state court since 1974 and federal court since 1975. Michael Terry is the founder of the Yardball Open, a nationally known 3 on 3 basketball tournament. Stephanie Gore has practiced law since 1995. 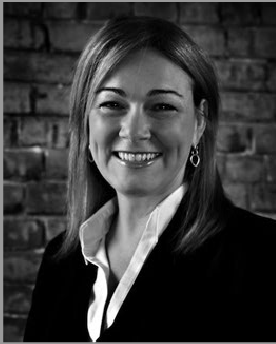 Stephanie is a graduate of David Lipscomb University and the Nashville School of Law (JD 1994). Stephanie began work for this firm as a law clerk in 1990. She was licensed by the Supreme Court of Tennessee and admitted to practice in state and federal court in 1995. Ms. Gore has been involved in federal and state litigation for more than 15 years. Since 1995 she has handled to verdict cases involving various claims. including legal and medical malpractice, age and gender discrimination, sexual harassment, and retaliatory discharge. Ms. Gore has represented criminal defendants in state and federal court. This practice has included death penalty and first-degree murder cases litigated to verdict. Ms. Gore is a member of the Nashville Bar Association, the Tennessee Association for Justice, the Tennessee Association of Criminal Defense Lawyers, and the Criminal Justice Act Panel for the Middle District of Tennessee. In 2009, Stephanie was selected by the State Judicial Nominating Commission as one of three nominees for Circuit Court Judge.